Zoomtopia, the long-awaited annual customer celebration event that features insightful keynotes, informative breakouts, and deep-dive trainings is just nine days away. Zoomtopia is not your typical user conference – you are going to have a blast. Get ready for surprises from our happiness crew, an incredible environment, and world-class food. You’ll get to network with professionals in technology, financial services, education, healthcare, and other industries. Moreover, we’ll guide you on how to use Zoom to its fullest and reinvent your meeting spaces with Zoom Rooms. We’re expecting over 1,000 people at Zoomtopia, and with the large convention center and the numerous sessions, it is helpful to have a digital guide for your conference experience. The Zoomtopia app (for both iOS and Android) is your knowledgeable friend at the event that will help you to get the most out of your experience. Our app is user-friendly, gamified, interactive, and covers everything you need to know about the event. Beware: it’s a little addictive – you can create a profile, post to the activity feed, gain points to rank higher, find people in the attendee list you’d like to network with, build your own schedule by picking activities, and more. The Zoomtopia app is a fun, easy to use, and a tremendously helpful social platform. What are the top features in the Zoomtopia App? 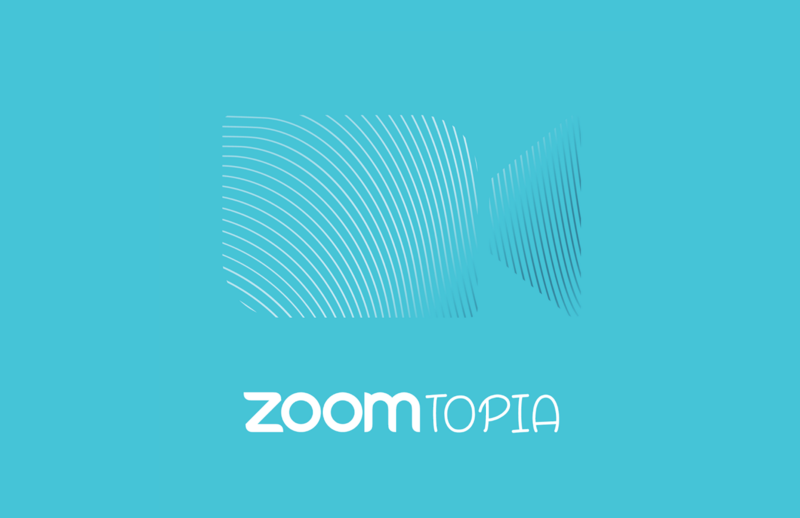 Activity Feed: This consists of the Event Feed, where attendees can post their thoughts and opinions, like, and comment, as well as the SocialWall, where you can check out Zoomtopia-related tweets. You also receive notifications to stay up-to-date with your network. Schedule: With the Zoomtopia day 1 and day 2 session, you can create a personalized schedule of workshops and breakouts. Set reminders for the sessions you want to attend, bookmark them, and even share photos from the session. List of Speakers: Read about the professional backgrounds and expertise of session speakers. You can also bookmark speakers that strike your interest. List of Exhibitors: Check out a link to where their booths are located in the Hall 3 map, read a short exhibitor description, and bookmark vendors you want to connect with. Maps: San Jose City Map displays key locations, such as hotels and restaurants. Venue maps include Hall 3 (breakouts, mainstage, expo, and registration) and South Hall (concert area). List of attendees: “Add” other attendees to share information and message, as well as take private notes, such as where you met the person or their details. ‘About’ Pages: Check out menus, hotel information, Zoomtopia FAQ, and highlights in Event info, as well as step-by-step guidelines for using the app’s (intuitive!) features in App help. Game: Collect points for using all aspects of the app, such as adding sessions to your schedule, viewing attendees’ profiles, sending messages, and sharing photos. Zoom is all about collaboration and our app is no exception to this. Uber: With one click, the Zoomtopia app takes you straight to the Uber app with your current location displayed – just enter your destination and you are ready to go. Search: A quick way to look up exhibitors, sessions, speakers, or pages. Wifi: Instantly access the necessary information to connect to the event wifi. How do I get the Zoomtopia app? Once you’ve clicked on the app, please login with the same email you used to register for Zoomtopia. At this point, there will be a verification code sent to your email, which you will need to enter in the app in order to access the content. The Zoomtopia app is an absolute must to experience our user conference to the fullest. It will allow you to customize your Zoomtopia experience and network efficiently, with a fun touch of gamification. Register ASAP, since there are only 8 days left, and make sure you have a Zoomtopia app to get the best experience.